As the nation’s opioid epidemic continues to grow, police departments and schools are looking for more ways to fight back. 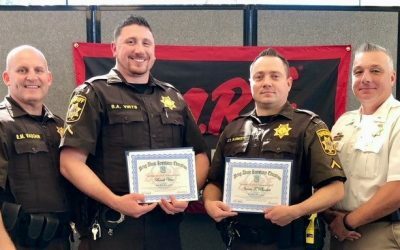 In Maryland’s Anne Arundel County, they’ve found a new path to follow by returning to an older one: D.A.R.E. 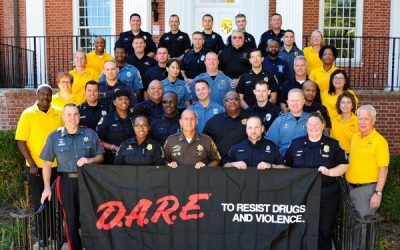 Anne Arundel, a suburban county located between Baltimore and Annapolis, discontinued the D.A.R.E. program after the 2002-2003 school year due to loss of funding and some concerns about whether it was the best method of delivering drug education. As the county’s overdose numbers continued to climb (51 deaths in 2015, 119 in 2016, 155 in 2017), the department’s Crisis Intervention Team (CIT) adopted several new community-based prevention programs to supplement the drug education curriculum offered by the county’s schools. 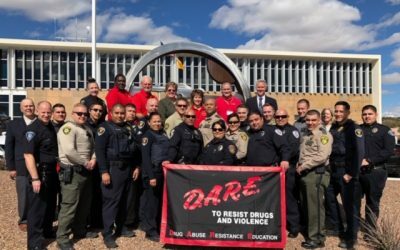 And in February 2018, the county reinstated D.A.R.E. 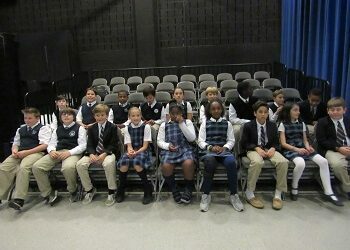 with programs at Annapolis, Corkran and Lindale middle schools. “Too often, we have to make death notifications to parents who have lost their children. 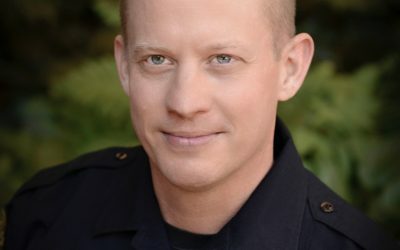 If we can prevent one student from using opioids or other drugs, if we can prevent one death, it’s a success,” says Lt. Steve Thomas of the CIT. “We want to have a significant impact on a lot of children and this is one more tool to use in our prevention efforts.” The department presently has nine officers trained to deliver theD.A.R.E. curriculum, and plans to send others for training to expand the program to additional schools in fall 2018. During the training, officers who may have been familiar withD.A.R.E. in the past quickly learn the program has come a long way from the “Just Say No” days of the 1980s whenD.A.R.E. got its start in the Los Angeles Unified School District. Maryland StateD.A.R.E. Coordinator Claude Nelson explains that the original curriculum was based on the needs of that school district and didn’t always adapt readily as a “one size fits all” approach. D.A.R.E. has since adapted a research-based, peer-centered approach called “keepin’ it REAL,” which stands for Refuse, Explain, Avoid and Leave. The organization launched this interactive curriculum in middle schools in 2008 and in elementary schools in 2013. “Getting the right instructors can be a big hurdle. If you’re only there because it’s a job, the kids will know it,” Nelson adds. And for officers who have that heart, but whose agencies lack the funding to send them for training, D.A.R.E. offers assistance through its website (www.dare.org), including a stand-alone web-based module on opioids added in early 2018. 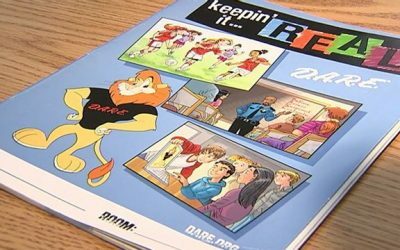 Although Anne Arundel County brought back D.A.R.E. to help combat the opioid epidemic, its efforts don’t stop there. 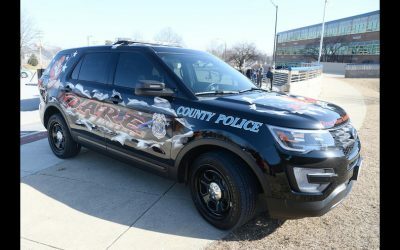 The department has also offered more than 100 sessions of a community-based program called “Not My Child,” featuring a panel that includes recovering addicts, family members who have lost someone to the epidemic, health professionals and first responders, and its Safe Stations program, wherein addicts can come to any police or fire station in the county and ask for help with treatment and recovery. Also, to supplement the D.A.R.E. 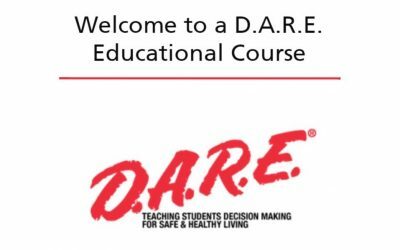 instruction, the department recently rolled out its D.A.R.E. car, featuring the contest-winning design of a group of children from Freetown Boys & Girls Club. A local design company turned their concept into reality at no charge. Anne Arundel will use the car to promote the program at schools and at community events, and the D.A.R.E. website offers materials that can help with education at those community events as well. In addition, the state provides assistance with the cost of materials to Anne Arundel and all participating agencies through fundraised money. For more information on Anne Arundel County’s reinstatement of D.A.R.E., contact Public Information Officer Marc Limansky at p93489@aacounty.org. For information on D.A.R.E. in general, contact Claude Nelson at claude.nelson@maryland.gov . . .